Lunch can be one of the most difficult meals if you're trying to eat a little healthier - especially if you're working all day. Salads can be a little boring, sometimes there isn't time for meal-prep and anything else can be difficult to take on the go. I'm sharing the quick, easy, healthy recipe for one of my favourite lunches at the moment. 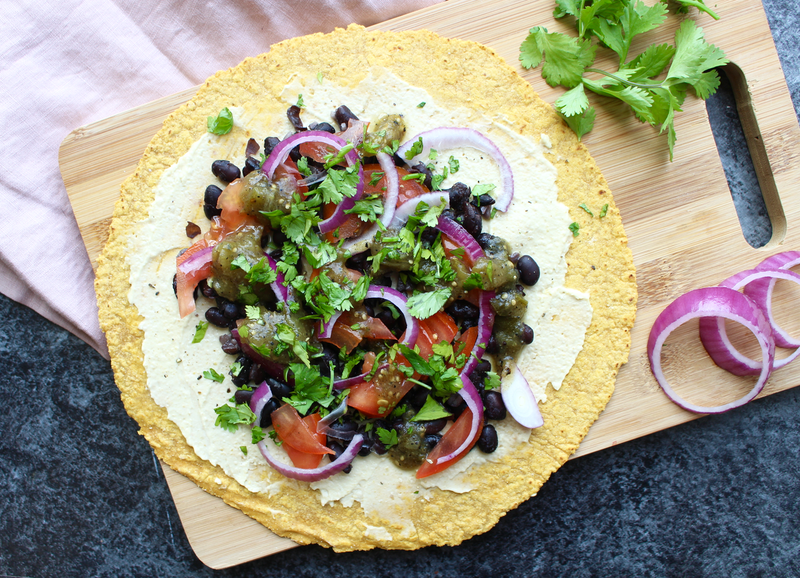 It's a delicious Mexican inspired wrap with hummus, salsa, black beans and other goodness! It's filling, high protein, with some healthy fats and plenty of nutrients. You can use a wholemeal wrap for this recipe if you're not avoiding gluten but I love the sweet potato wraps from BFree foods - not only are they gluten free but they're vegan, high fibre and high in vitamin E too...oh and they taste delicious, which is of course very important. 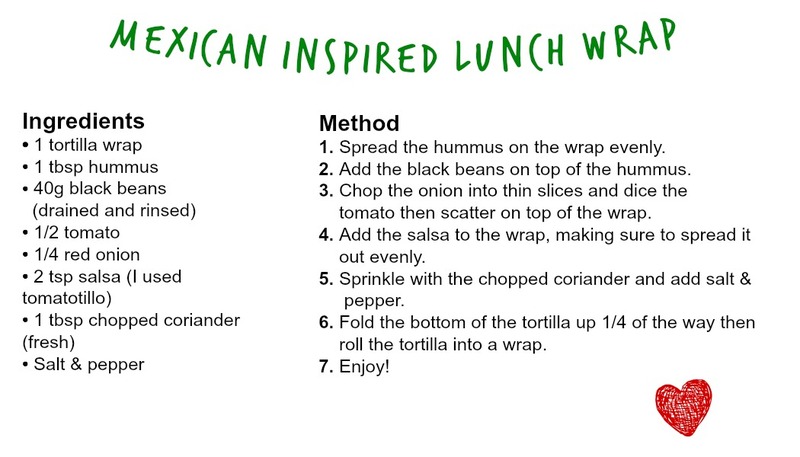 The wrap is full of so much plant-based goodness including hummus and salsa which add so much flavour to the wrap but also help to hold it together. There's black beans which I love and are a great source of protein, there's tomatoes and onion too as well as chopped coriander and black pepper for plenty of flavour. You could use guacamole instead of hummus for even more Mexican inspired flavour, but I just prefer hummus and find it pairs really well with the black beans. If a little extra you could throw in some spinach or rocket, diced beetroot or red pepper. This wrap is super filling and should keep you going for hours!